Someone told me that they still have redemption programs like this in the South. 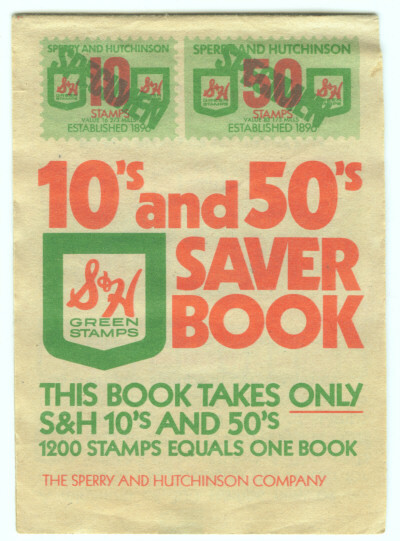 Essentially you would buy something at a participating store and based on the total of your purchase you would receive stamps which you would stick in the book shown. Once the book was full you could take it to a redemption center and get a lamp or an ashtray. There were actually full-time redemption centers in many cities.